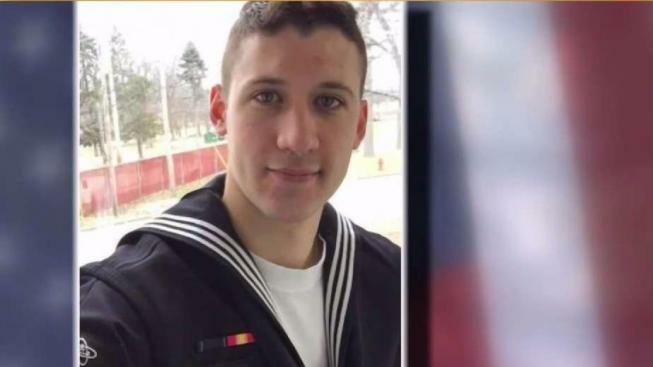 Navy and Marine Corps divers have recovered and identified remains of Suffield native 26-year-old Electronics Technician 3rd Class Dustin Louis Doyon. He is the second victim identified from the collision between the destroyer USS John S. McCain and an oil tanker near Singapore. Eight sailors are still missing. "On behalf of the entire Doyon family, we want to thank all those who have extended their support and prayers. Dustin was a wonderful son, big brother, and Sailor. He truly loved his family, the Navy, and his shipmates. We are incredibly proud of him and his service to our country. We will miss him immensely and we are so very thankful for the 26 wonderful years we had together." "As we mourn the loss of our son and brother, we would like extend our appreciation to so many people, especially to the community of Suffield, Connecticut who has been supporting us since we first learned of the accident. We are also thankful to the United States Navy for their continued support and are thinking of the brave crew of USS John S. McCain who are still hard at work with a difficult task." "We ask everyone to keep the families and friends of those affected by this terrible tragedy in your thoughts and prayers." "As you can imagine, this is a very difficult time for our family and we respectfully request that you continue to respect and honor our privacy." Doyon graduated from Cathedral High School in Springfield, Massachusetts in 2009. Gov. Dannel Malloy has issued a directive to lower United States and state flags to half-staff in honor of Doyon. Congressman Joe Courtney also issued a statement. "The Doyon family's tragic loss of their beloved son Dustin who was ably serving in our nation's defense is a loss for every American. His decision to volunteer to join the Navy, and put himself in harm’s way for his country showed his patriotism and caring for others, which we should all revere and honor,” Courtney said. On Wednesday, the commander of the Navy's Asia-based 7th Fleet was dismissed after a series of warship accidents raised questions about its operations in the Pacific. A two-sentence statement issued by the Navy says Adm. Scott Swift, commander of the U.S. Pacific Fleet, had relieved Vice Adm. Joseph Aucoin "due to a loss of confidence in his ability to command."